If you live or have ever travelled in London you may have spotted big scale of geometric patterns painted on the building in East London. 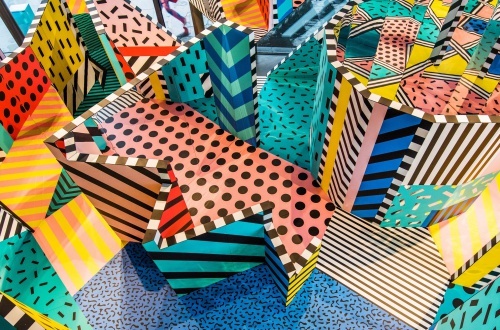 Those playful patterns and bold colourful dotted on the building or in the street are created by the digital print designer and artist Camile Walala. 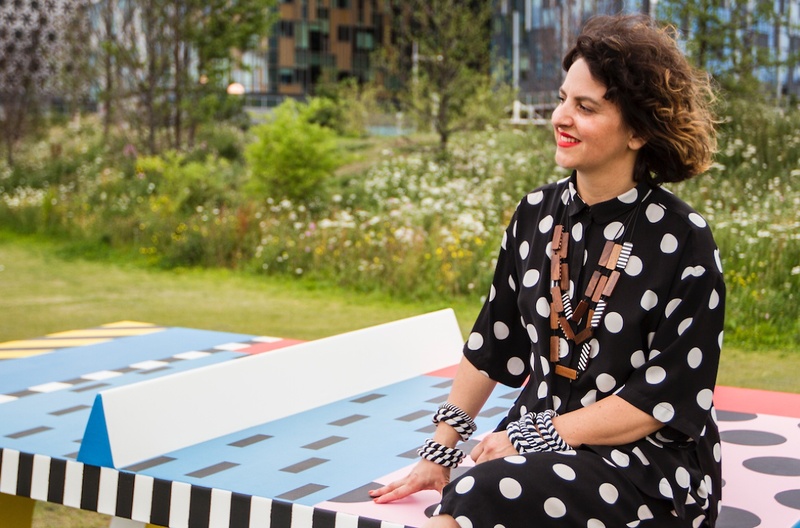 Camile Walala graduated with textile design, her drawing on influences including the Memphis Movement, the Ndebele tribe art and Victor Vasarely. 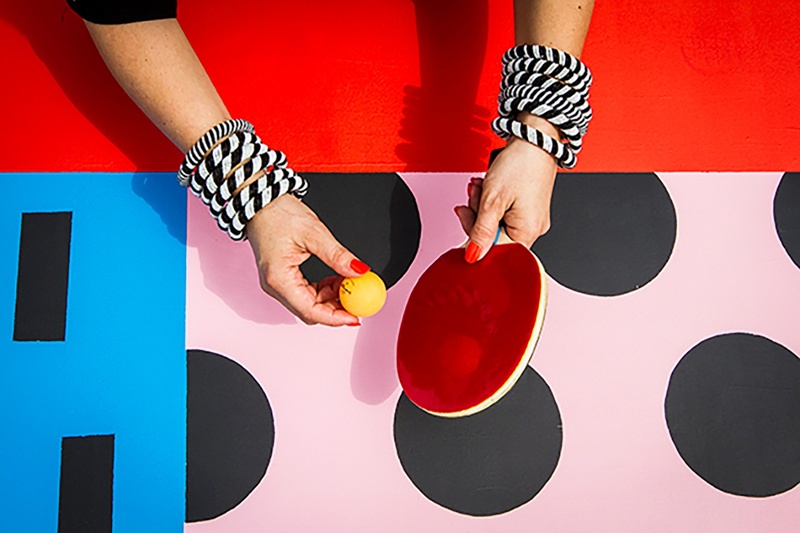 She has an irrepressible enthusiasm for playful, graphic patterns that invoke a smile. 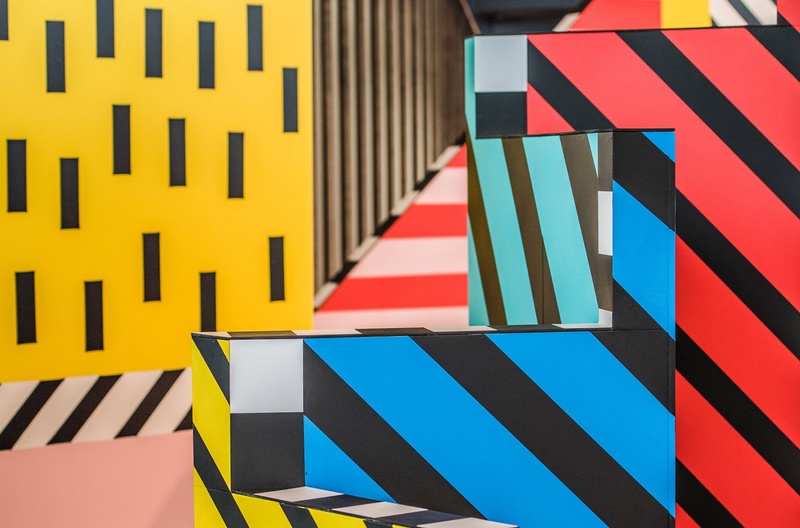 Her dedication to positivity, optimistic typography and bold use of pattern and colour have seen her transform urban landscapes across the world. 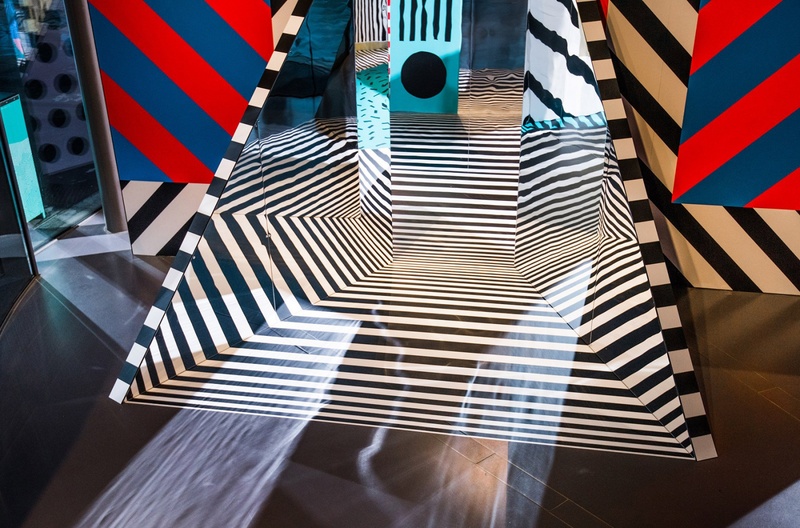 Walala x Play exhibition is Walala's first 3D interactive abstract installation, with an immersive maze full of mirrors and patterns where visitors can play spot the difference as they explore. 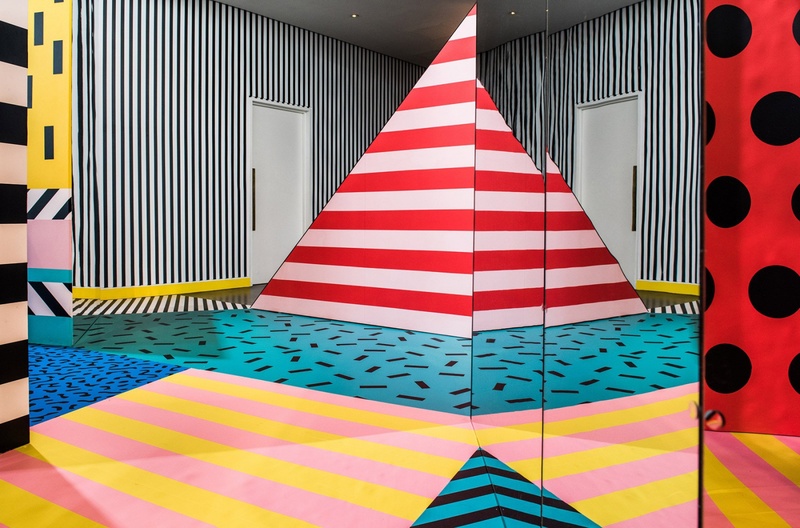 The exhibition will be available for visitors to view and experience the exciting space from 14th July - 24th September in Now Gallery, London.